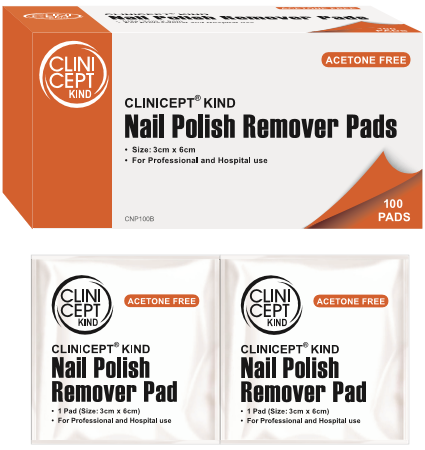 Clinicept Kind Nail Polish remover pads have been carefully developed by UK scientists to remove nail polish with one simple light rubbing action, whilst being kind and caring to the nails. The pads are ACETONE FREE and contain Panthenol to strengthen and condition the nails. We would like to hear about potential UK & International trade opportunities for Clinicept® Kind Nail Polish Remover Pads. If you are interested in distributing this product, please click here to contact us by email.